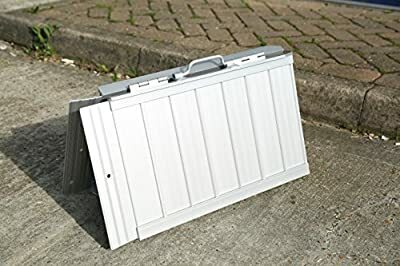 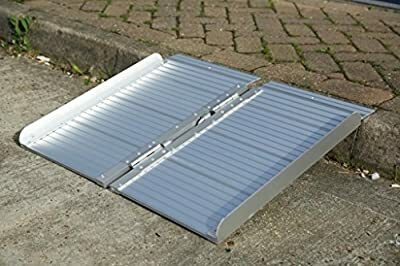 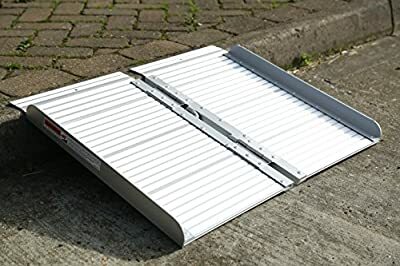 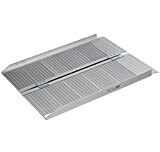 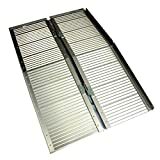 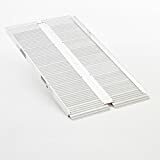 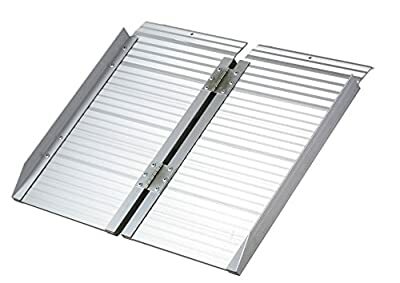 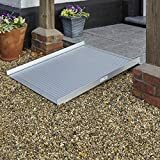 This 2ft long folding ramp (or suitcase ramp) is versatile, light and easy to use. 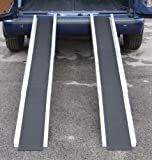 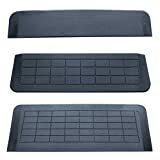 The ramp has a convenient carrying handle at the midpoint and raised edges to prevent wheels from falling off the sides. 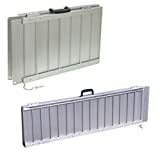 Its folding design makes storage easy and its tough construction makes it ideal to support wheelchairs and scooters.